Kentucky Lake Bridge - Prolume, Inc.
A project to widen approximately 2 miles of US 68/KY 80 from two lanes to four lanes was undertaken in Canton KY. 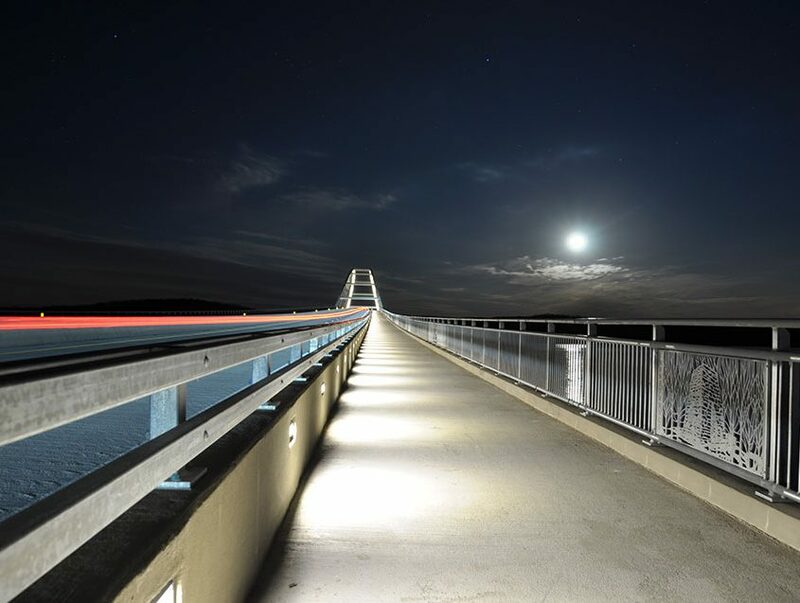 They chose Legacy Series LIA along with Prolume cast step lights to illuminate the Kentucky Lake Bridge. 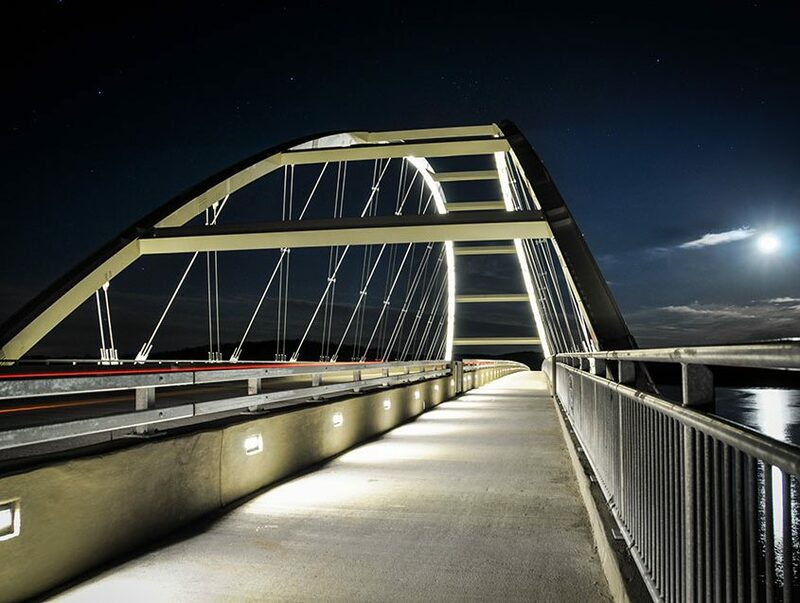 Step lights are used to provide foot traffic lighting while LIA fixtures are used for aesthetic illumination of the graceful arches of the span.